Below are instructions for Sunday volunteers plus information about why workshop training is so important to our mission of welcoming and sharing with newcomers. Please click on "Instructions" to download the files to your computer. As the Welcome Table Host, you will assist newcomers and visitors by helping them fill out a nametag and answering their initial questions. As a Greeter, you are often the first smiling face that a visitor will see. You can welcome them and guide them to the Welcome Table. 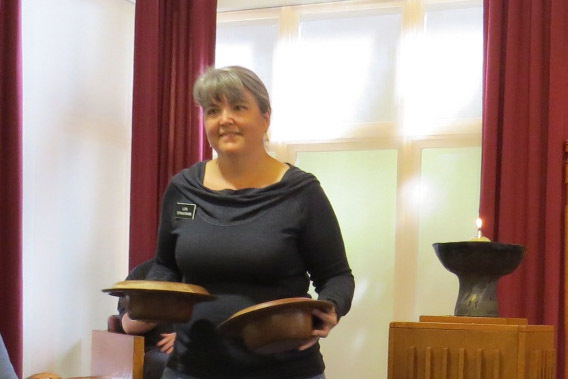 As an Usher, you will be handing out the Orders of Service at the entrance to the Sanctuary and you will receive and count the offering. Why do we offer training to our new members and others at a Shared Hospitality workshop? The idea behind offering the workshop is so that we can learn how to be welcoming and friendly to our visitors. Remember how important it was to you when you first arrived at church – smiling faces welcoming you and your family into this new space? This kind of a workshop is not new to congregations. We have offered it for several years so that our members feel comfortable welcoming the stranger. It is so that “the stranger” will want to return to learn more about us. 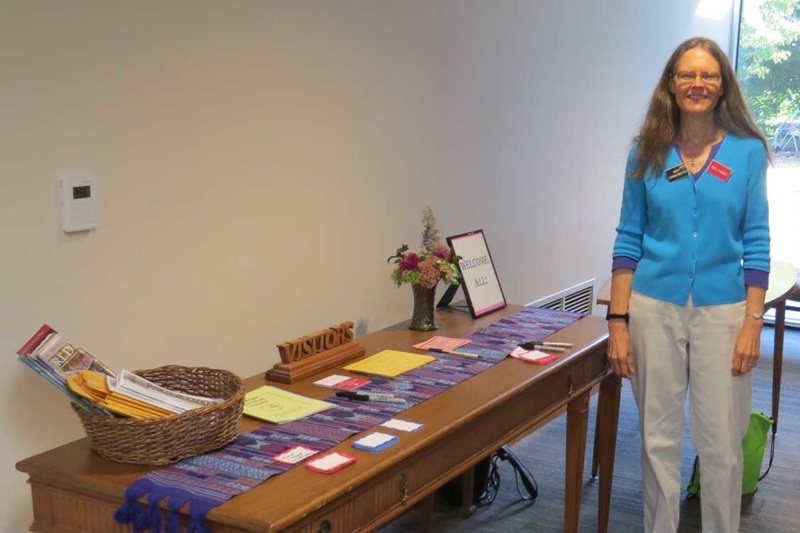 It has been proven both at this church and other congregations that if a visitor feels welcomed and comfortable then they will return to learn more about the congregation. 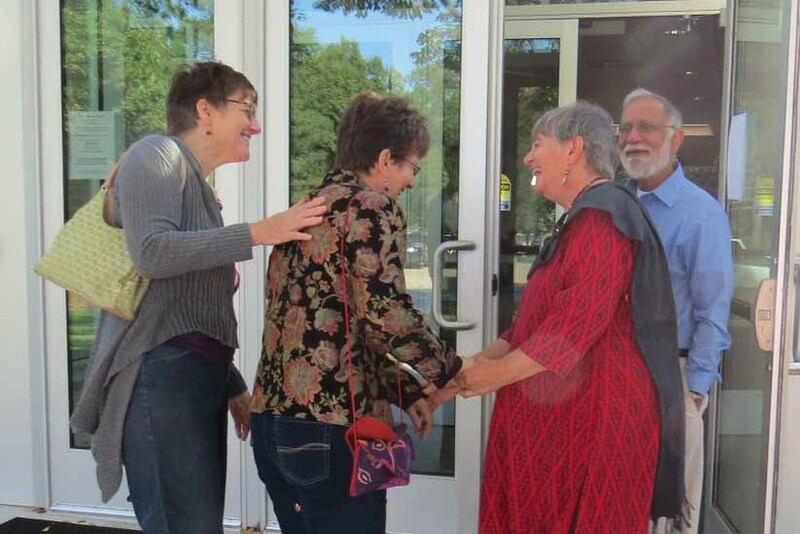 Our UU congregations for many years have had the opportunity to take training so that members and friends feel comfortable greeting and welcoming the stranger. We need to make this part of our shared ministry to our guests. Many of our members tend to be introspective individuals, and by offering training to welcome our guests on Sunday mornings we hope that even those who feel most introspective will feel more empowered to welcome our guests with confidence. We want to welcome our strangers to church in the same way we would welcome someone entering our own home. Our visitors tell us and others too that we are a very welcoming congregation. We want to ensure that this continues to be their experience. Ready to be part of the Hospitality Team at church? Submit this to our Membership Director Judy Hart to register your interest in greeting, ushering or hosting.